Finalists at the 2016 FACCOC GALA. Winner Kevin Casasola of UCLA (seated 2nd from right) was the 2016 winner. 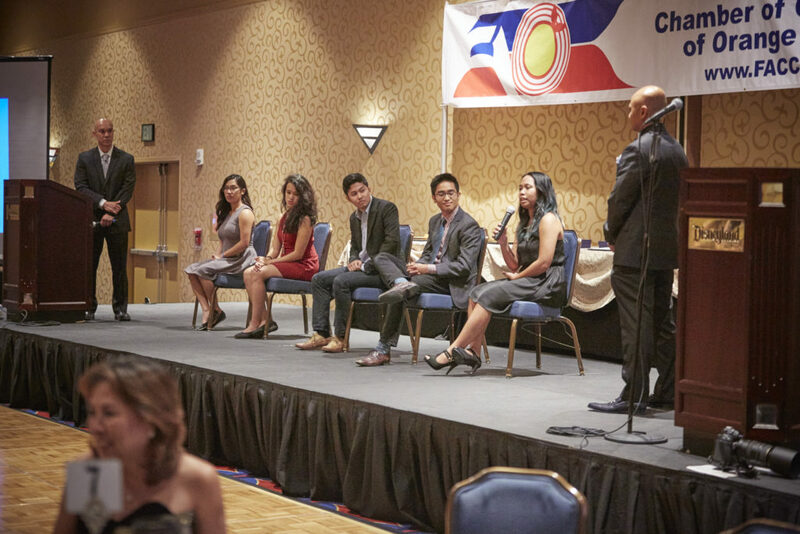 2017 winner Raven Castro (2nd from right) of USC Troy Philippines at the 2017 FACCOC GALA. 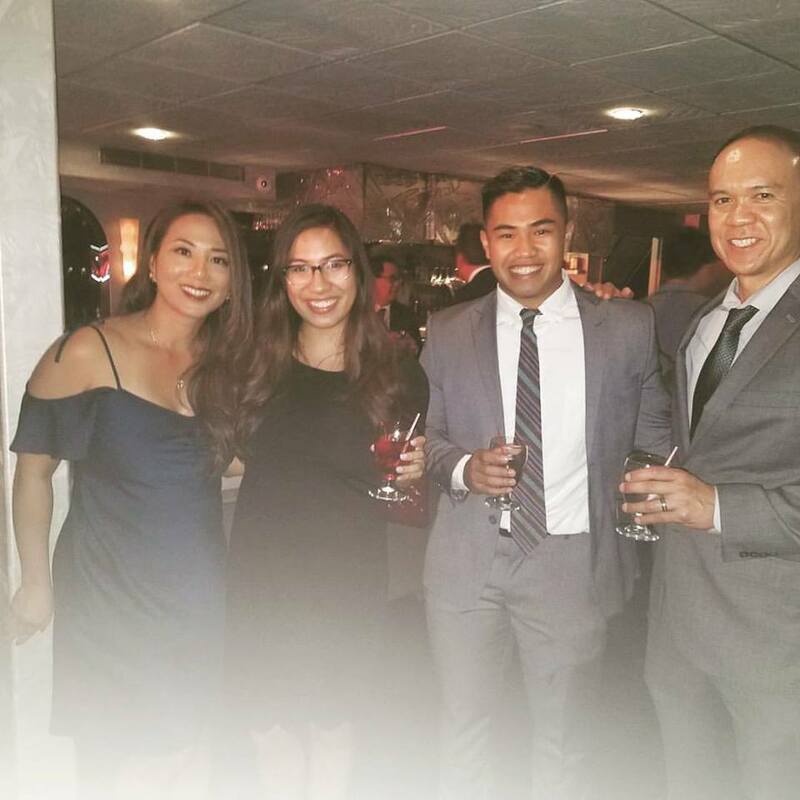 FACCOC continues its commitment to outreach of our Fil-Am leaders of tomorrow who can spread the awareness of the business community. In prior years, we’ve awarded and recognized individuals of high accomplishments within their schools which has enabled FACCOC to stay connected to the Filipino clubs on local campuses. We had a different format in 2016 when we celebrated on-campus leadership and followed it with more focused efforts in 2017. Selected awardee will be required to support (2) FACCOC evening events as a greeter and completing various event tasks. The awardee will be recognized at the events to be determined at a later date. This will be a great opportunity for the student to have hands-on experience with networking and meeting local business owners. Must be a current undergrad student in good standing with a full workload. Progress toward a declared major and not graduating before December 2019. Student currently is eligible and requires financial aid, loans, and/or part-time work income to fund education. Must demonstrate leadership skills on campus or in the community. Must demonstrate responsible conduct on social media accounts reflective of a future leader. Must be able to travel to (2) FACCOC signature events for support and recognition. Event venues will be within 15 miles of CSUF. Selected awardee will be responsible for creation and maintenance of an Instagram account. This will require weekly tasks such as posting various content and stories, “liking” relevant posts nearby, and engaging other Instagram users to increase followers to over 2,000. Must be able to travel to (2) FACCOC signature events for support and recognition. Event venues will be within 15 miles of UCI. Deadline for nominations is Wednesday, October 10th at midnight. Submitted nominations will receive an email with a link to the full application by Friday, October 12th. Please text Edwin at 714-501-2732 if you have submitted a nomination and haven’t received an application link. Check your bulk or spam folder before reaching out. Judging details are on the detailed application.